My name is James F. Johnson, Jr. and my father was killed in WWII while flying a B-24 over Hungary during the war. When he was alive he used his middle name of Franklin and liked to be called Frank. When I decided to write books I took the name J. Frank James in honor of my father. The interesting thing is that during the war he was last stationed in Savannah, Georgia which has often been mentioned in a lot of my books as well as an old abandoned airbase called Harris Neck Airfield. For several years during WWII Harris Neck Airfield was used as a staging point for the detection of German submarines off the coast of Georgia that were lying in wait for the Liberty supply ships leaving the Port of Brunswick in Brunswick, Georgia and the Navy port of Mayport established in 1942 just outside of Jacksonville, Florida. In my book titled The Run Begins, I discuss the nature of Harris Neck Airfield and its strategic use during the war; however, I changed the name of Harris Neck to that of Turtle Point as I was advised that people would not understand the meaning of the name Harris Neck. Hindsight being twenty-twenty, I think I should have kept the name Harris Neck. The reason being that a man named William Thomas Harris, Jr. initially owned the parcel which totaled over 2,700 acres and had an interesting history as well. The term ‘Neck’ was used to denote an area’s shape. Instead of peninsula the term ‘neck’ was used. Over the years the area property passed through various owners who utilized the parcel for agricultural purposes. Even the famous tobacco baron, Pierre Lorillard, had a hand in the area’s development. And so it was until in the 1930s the Civil Aeronautics Authority acquired the parcel and built a small runway for use at a local level. The stayed under Federal control all during WWII. I was surprised to learn that my father did some training at the small field and when I learned of that the area took on a whole different meaning for me. I am not a historical writer and don’t want to be, but I do enjoy wrapping my books in some historical information from time to time to give the reader a little more perspective as to where I am coming from when they read my books. 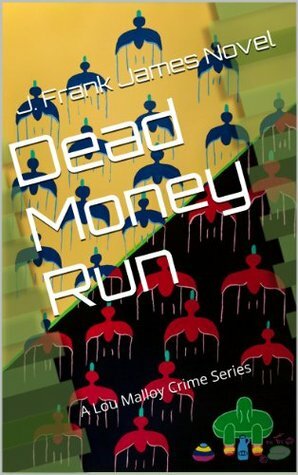 Frank James is the author of The Lou Malloy Crime Series, which is expected to span 20 books. The series follows Lou Malloy, a hardened criminal who did 15 years in prison for the theft of $15 million, and his partner Hilary Kelly, a private investigator.